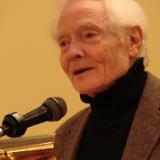 This entry was posted in Daily PAW Post contributor and tagged Daily PAW Post, Merwin, My Friends, Poets Against the War, W.S. Merwin. Bookmark the permalink.